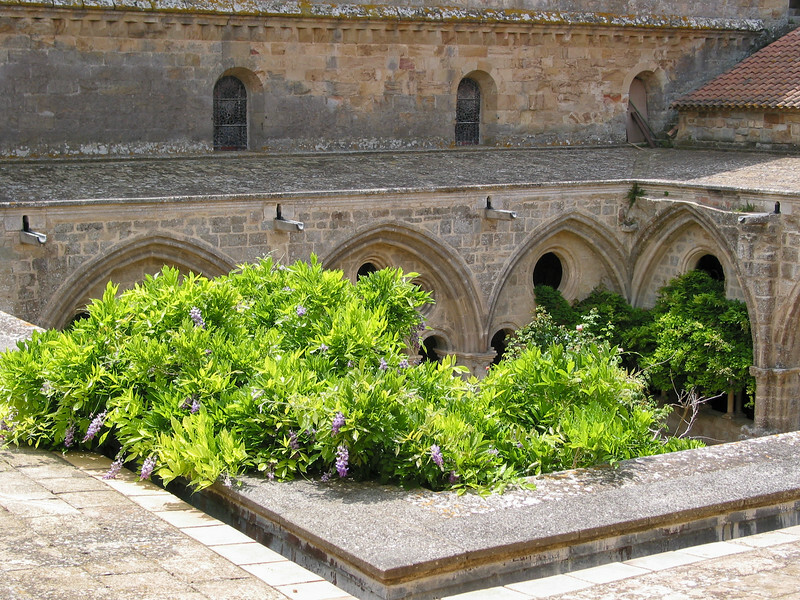 In 1093 a Benedictine abbey was founded here in the hills of the Corbières, and it became Cistercian in 1145. It's built of the local yellow and red sandstone, which is very beautiful in the sunlight. It was abandoned in 1791, but has been in private hands since 1908, and nicely restored, with attractive plantings amidst the dry hills.